This Clinical Handbook for the Management of Mood Disorders will equip clinicians with the knowledge to refine their diagnostic skills and implement treatment plans for mood disorders based on the most up-to-date evidence on interventions that work. Covering the widest range of treatments and techniques, it provides clear guidance for the management of all types and subtypes of both minor and major depression. Chapters cover the latest and most innovative treatments, including use of ketamine, deep brain stimulation and transcranial magnetic stimulation, effective integration of pharmacological and psychotherapeutic approaches, as well as providing a thought-provoking look at the future research agenda and the potential for reliable biomarkers. This is the most comprehensive review of depression available today. 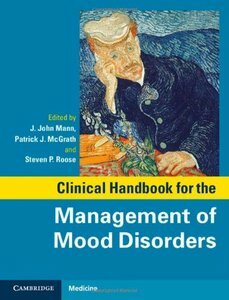 Written and edited by leading experts mostly from Columbia University, this is an essential resource for anyone involved in the care and treatment of patients with mood disorders.